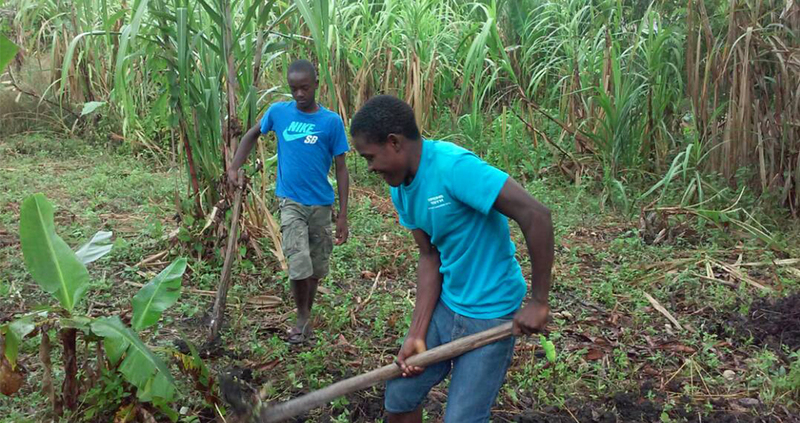 Thanks to the teaching received during the summer camp, around 70 young people from Baille Tourible’s small high school decided to set up 2 agricultural projects with the help of their teacher, Paulnet Paul: a vegetable garden and a plant nursery. These initiatives help the community to take one more step towards autonomy. Congratulations to them! The goal of the plant nursery is to produce seedlings for fruit trees: 2,000 acacias, 1,500 cedars, and 700 lemon trees. The harvest is planned for the end of Spring in 2018, after which the seedlings will be planted on the students’ parents’ property. The vegetable garden will be a learning space for the students, who will use what they have learned to plant gardens at home. The garden will grow eggplants and peppers.